New Zealand Bans Software Patents. 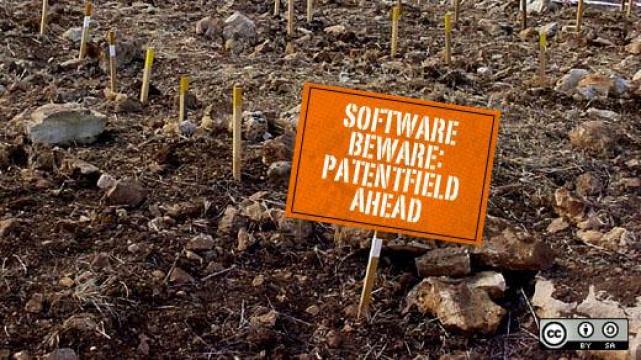 Have you ever read a software patent? They’re laborious things to read often starting out by describing at length their claims and then attempting to substantiate them all with even more colourful and esoteric language. They do this not out of some sick pleasure they get from torturing people who dare to read them but because the harder it is to compare it to prior art the better chance it has of getting through. Whilst a Dynamic Resolution Optimizer Algorithm might sound like something new and exciting it’s quite likely that it’s an image resizer, something that is trivial and has tons of prior art but, if such a patent was granted, would give the owner of it a lot of opportunity to squeeze people for licensing fees. Indeed this kind of behaviour, patenting anything and everything that can be done in software, is what has allow the patent troll industry to flourish. These are companies that don’t produce anything, nor do they use their patents for their intended purpose (I.E. a time limited monopoly to make use of said patent), and all they do is seek licensing fees from companies based who are infringing on their patent portfolio. The trouble is with the patent language being so deliberately obtuse and vague it’s nigh on impossible for anyone creating software products to not infringe on one of them, especially if they’re granted for things which the wider programming community would believe would be obvious and trivial. It’s for this reason that I and the vast majority of people involved in the creation of software oppose patents like these and it seems finally we may have the beginnings of support from governmental entities. The New Zealand parliament just put the kibosh on software patents in a 117-4 vote. The language of the bill is a little strange essentially declaring that any computer program doesn’t classify as an invention however any computer application that’s an implementation of a process (which itself can be patented) is patentable. This legislation is also not retroactive which means that any software patents granted in New Zealand prior to its passing will remain in effect until their expiry date. Whilst this isn’t the kind of clean sweep that many of us would have hoped for I think it’s probably the best outcome we could realistically hope for and the work done in New Zealand will hopefully function well as a catalyst for similar legislation to be passed elsewhere. Unfortunately the place that it’s least likely to happen in is also the place where it’s needed the most: the USA. The vast majority of software patents and their ensuing lawsuits take place in the USA and unfortunately the guaranteed way of avoiding infringement (not selling your software there) means cutting out one of the world’s largest markets. The only way I can see the situation changing there is if the EU passed similar laws however I haven’t heard of them attempting to do anything of the sort. The changes passed in New Zealand might go a ways to influence them along the same lines, but I’m not holding my breath on that one. So overall this is a good thing however we’re still a long way off from eradicating the evils of software patents. We always knew this would be a long fight, one that would likely take decades to see any real progress in, but the decision in New Zealand shows that there’s a strong desire from the industry for change in this area and people in power are starting to take notice.